Okay so I’ll admit that when I saw this topic I cringed a bit. Why? you ask. Well let me tell you, in the last year I’ve read a lot…and I mean that. But in the last five years, no the last ten years, I’ve not read much so I have been playing catch up. What does that mean? It means there’s a ton, a ton of books and series that I haven’t gotten around to reading that I’d really like too. Narrowing it down to only ten was really hard for me. But I did it 🙂 As always these are in no particular order, the titles link to the first book in each series on Goodreads. 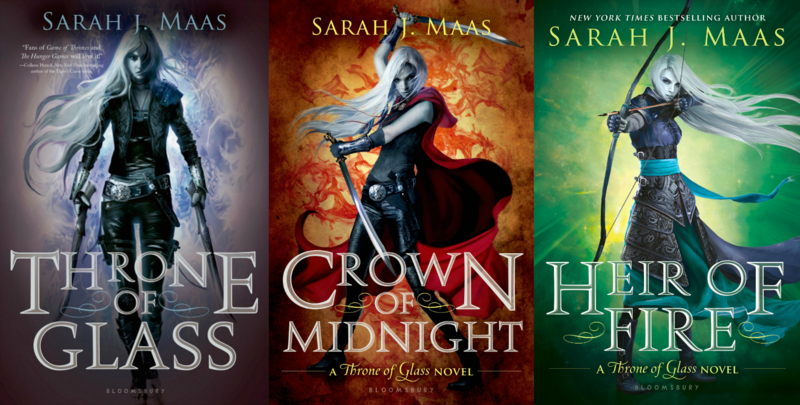 Throne of Glass by Sarah J. Mass – I had not heard of this series until recently when the most recent book was released, and then I saw the beautiful spread at my local bookstore featuring the new book and its predecessors. I’m in love! Set in a different world, synopsis sounds medievalish, and the main character is an assassin trying to redeem her freedom….ummm can I get this book now?! The Lux Series by Jennifer L. Armentrout – I’m going to admit something that will probably come as a shock to all of you…I have never read or heard of Jennifer L. Armentrout. In fact, on another blog, I saw the initials JLA used as a common term in a comment feed and I had to ask what it meant. Obviously I’m missing out on something here right?! Well, the fellow blogger pointed me in the direction of this series and I can’t believe I missed it!!! A young adult, paranormal romance….and it’s not vampires people…it’s aliens!! I’ve already bought the first book, time to sit down and start reading! The Grisha Series by Leigh Bardugo – Time for another confession…I’m a cover snob. That’s right. I judge books by there covers, sometimes I even buy them or check them out at the library based on cover alone….I don’t even read the synopsis 😯 This series is cover love all the way. I fell in love with them! They are haunting to me and remind me of gothic/Russian architecture. I honestly can’t even tell you what the books are about. If you’ve read them, comment below to fill me in please. Like I said I just love the covers and will eventually read the series for that alone! 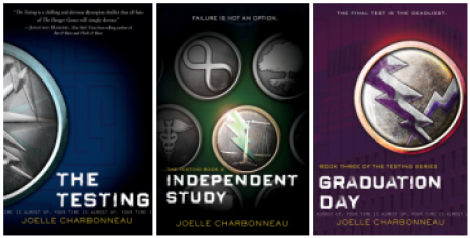 The Testing Trilogy by Joelle Charbonneau – Two weeks ago my husband took me to the book store. Yes, like a child, I asked permission to go because it’s my toy store and I tend to get lost looking at all the pretty books when we go. I came across this series. The store had a very nice display set up with all young adult dystopias. I was in heaven 😀 Anyways I hadn’t heard of this series so I read the synopsis and honestly it sounds really good! My hope is that it isn’t a rip off of Divergent or Hunger Games….only reading will tell. 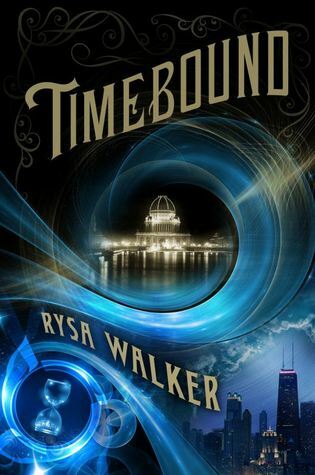 The Chronos Files by Rysa Walker – I have actually had this book for almost a year now and haven’t started it yet 😕 But time travel is kinda cool…I mean look at the Doctor!! Anyways, now that my nerd is showing, I’ve got to make time for this series. Book two is coming soon, as in today, so I need to get reading! Sunset Rising by S.M. McEachern – Another dystopia, imagine that 🙄 I know, I’m a bit obsessed with the apocalypse and how people survive after but it just makes for such darn good reading 😉 This is another series that I already own book one, so I really need to get to reading as book two just came out. Enough about me and what I want 😉 What series have you wanted to start? Any of mine you think I should start first? Or is there one I’m missing? Comments welcome! Happy Anniversary to My Husband!!! I highly recommend the Shadow and Bone trilogy. I also loved The Lunar Chronicles. That series gets better as it progresses! 🙂 I’m starting the Throne of Glass series today. I hope it lives up to expectations! I’m jumping in to say Throne of Glass is amazing. A-MAZ-ING. That is all. Enjoy. OH MY GOSH YOU NEED TO READ THRONE OF GLASS RIGHT NOW. It is so so good. Seriously just stop whatever you are doing and go buy it. 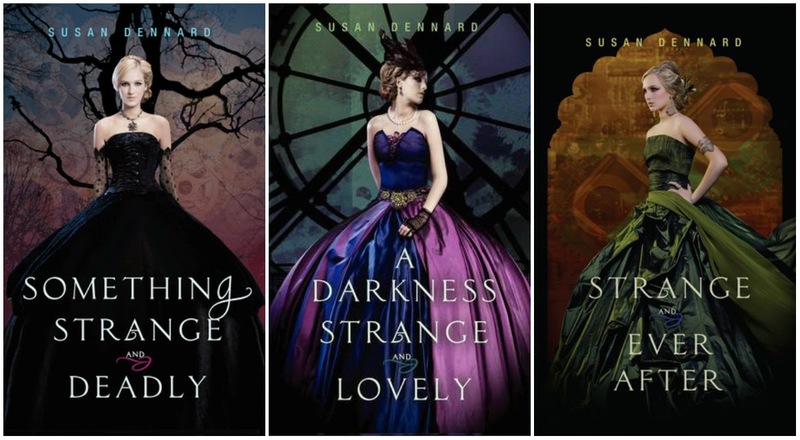 I can’t believe I missed the Susan Dennard books off my list! I’m super exciting to read them but I’m having a hard time getting hold of them here. I also want to start The White Rabbit Chronicles, The Lunar Chronicles and The Grisha series. Awesome list! Great picks. There are quite a few of these series that I really want to read myself -Grisha, Outlander and Shatter Me especially, they look so good. THRONE OF GLASS! I am obsessed with that series, it’s so good and I highly recommend it. I hope you can get to some of these soon 🙂 TTT. Thank you! I hope to have some time soon 😉 It looks like I’ll be reading Throne of Glass, seems to be everyone’s pick. Thanks for stopping by! Great list. I have some of these on mine. I bought Alice in Zombieland the other day. Thanks! Let me know how you like Alice in Zombieland. I’m still iffy about it.